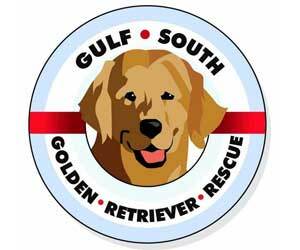 Gulf South Golden Retriever Rescue, Inc. (GSGRR) is a 501(c)3 nonprofit organization run by a small group of volunteers. We are home based in the Greater New Orleans, LA area, but have volunteers in the Gulf South and Northeast. We take in purebred Golden Retrievers and Golden Retriever mixes from public shelters and accept owner-relinquished Goldens from the Gulf Coastal states (LA, MS, AL, FL). We provide our dogs with veterinary care including spaying or neutering, inoculations and other veterinarian recommended therapies. We evaluate the dogs’ temperament, and socialize them by having them live with foster families. Then the dogs are matched with loving, carefully selected adoptive homes.